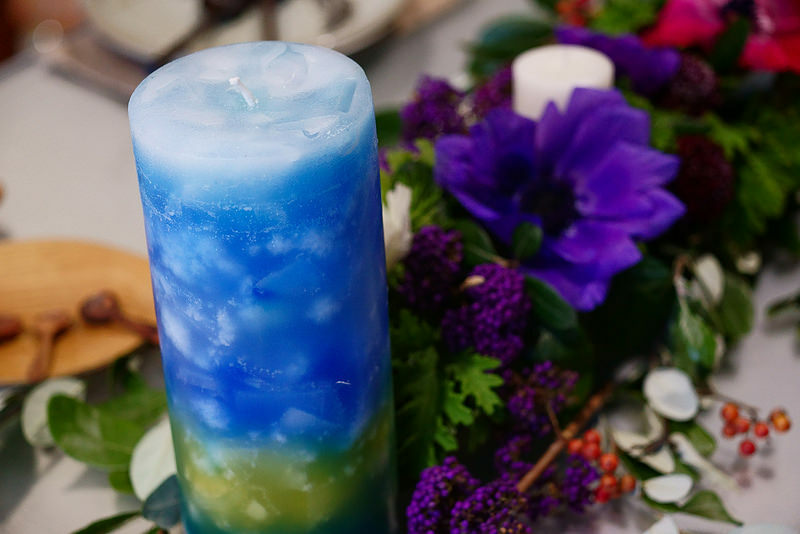 Candles can be used for different purposes, spiritual practice, prayer, to create a sacred, holy or magical ambience, connect with certain angels, beings or deities. ​You can also use candles to enhance energy and intention In order to request, create or manifest. It's all about placing your own energy, focus and intent into it. There are also therapeutic qualities of colours due to their individual vibrational frequencies and thus healing properties. ​They have a power to project a certain energy and ambience. You can also use candles that represent the colours of various chakras to enhance your own healing and chakra balancing and clearing work. 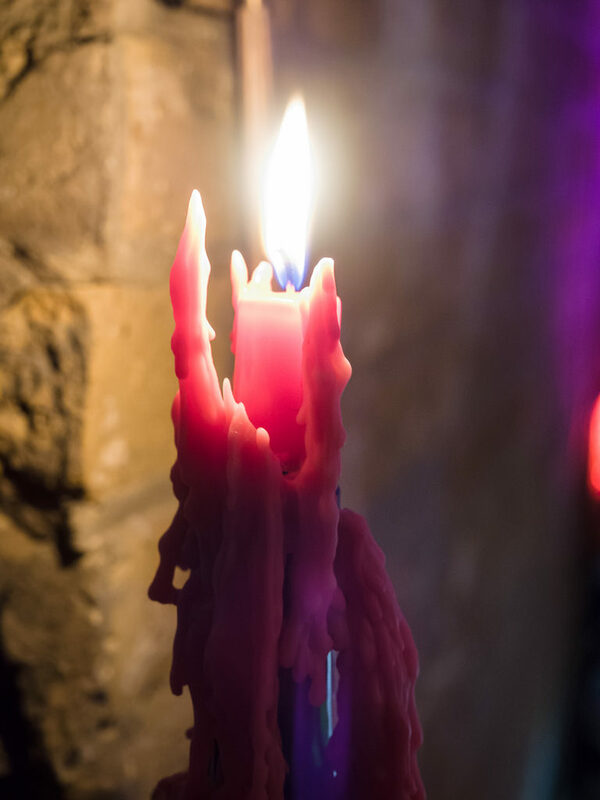 ​Candle colours can be a spiritual communication aid to enhance your personal connection with various archangels, as you will see further below. 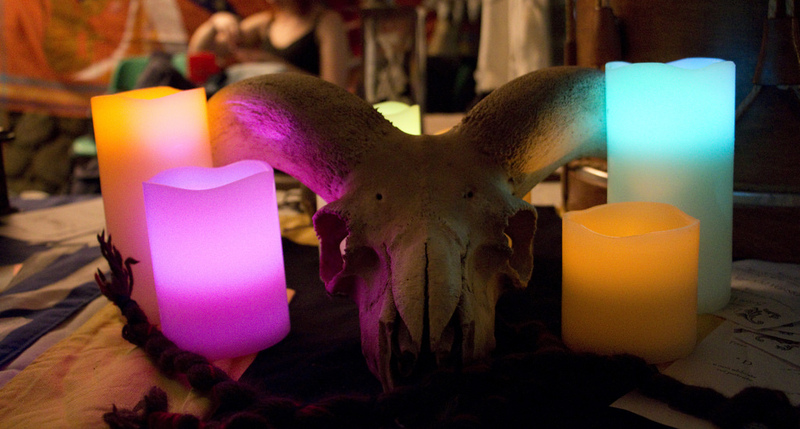 You can also use various candle colours together for added energy effects. ​For example white and blue would both promote peace, calm, purity and protection. ​​White is a very pure, sacred colour. It is great candle to use for any purpose. It will amplify the energy and results of any other candle colours that you use with it. White candles add a sense of spiritual purity, divinity, protection, peace, unity and goodwill. White is associated with the crown chakra, enhancing your sacred connection to divinity, divine union, opening up to God , the higher realms and the universe. The smoke that comes out of your burning white candle represents negative energy, so when it stops smoking, it signifies that negativity is gone, and that cleansing has been achieved, so you can light it for this particular intent. ​You can use white candles to aid in spiritually cleansing your home or a room, and to remove negative energy or spirits. It is a great neutralizer and clearer, with the added bonus of providing higher vibrations of sacred healing and Divine love. Yellow represents the intellectual mind and clear thinking, so can be used for boosting one's intellectual capability, focus, memory and clarity of thought. ​It is ​associated with higher wisdom, insight, imagination, creativity and the colour gold. Yellow can help you gain clarity, boost creativity, promote intelligence, wisdom and strengthen your mind. Using blue in your home helps promote peace and calm. It will help instill the energy of tranquility and aid in the centering of the mind and emotions. It will also help create more peaceful relationships that flow more smoothly and harmoniously. Blue is associated the throat chakra, which is the energy centre concerned with communication and self expression. You can intently light a blue candle to help with your own self expression and use of voice. ​Blue is also a highly protective colour, associated also with Archangel Michael. You can use it to call in Michael's energy and help you feel more spiritually protected. ​Green represents health, healing and balance between mind, emotions and body. It symbolizes growth and movement, renewal, freshness. As such it is also a symbol of fertility, abundance and prosperity. It can be used to help you attract money, improve your finances, manifest your desires and boost career prospects. Use green to connect with or heal your heart chakra. The heart chakra is all about healing and praying over your health and wellbeing. It also brings about harmony. You can use it also to help your ​​relationships, friendships and love life. Orange is a highly stimulating colour. It can be used to uplift you or stimulate you into action and creativity. Due to its association with the sacal chakra, it also promotes fertility, sexuality and emotional intimacy. ​Use it when you really want to dig your heels into creating something, and tap into your creative powers. ​Orange will boost your vitality, life-force energy, joy, enthusiasm, power, authority and personal strength. You can use it for your career, ambitions and legal matters. Red is a strong, vibrant colour associated with fire, passion, sexuality, sexual potency, energy and vitality. It is also a forebringer of strength, courage and good health. ​It can be used to promote ​change, create a new reality, boost ambitions, promotions and career ventures. ​Pink is a soft, pleasant colour associated with love and self love. It will draw new people and friendships to you. ​You can use it to attract a soulmate as it oozes soft vibrations of love, affection and romance. ​Pink will bring about happiness and positive manifestations. ​Purple is a very high vibrational, spiritual and mystical colour. It is also associated with wealth, royalty, higher spiritual attainment, mastery and attunement. Purple is a colour of spiritual action, idealism, visualization and transmutation. It will deepen your connection and help you enter a deeper state within yourself. It will promote deep inner peace and can be used for any spiritual purpose such as meditation, spirit communication, psychic development and the enhancement of spiritual power. Purple is also highly protective, transformative and purifying. It transmutes lower energies and thus helps dispel negativity and overcome obstacles. Violet is the highest frequency on the colour spectrum. It is the colour of the crown chakra (as is white), the energy center of your body that acts as your mystical doorway. As such, iit will enhance and open your spiritual connection to God and the Divine. Silver candles are quite beautiful and can be used for inspiration, intuition and clairvoyance. It is also associated with astral energy. ​Silver will help you gain clarity and make decisions. ​Gold has long been associated with wealth and prosperity. You can use gold candles to help you attract money, good fortune and luck. It will aid you in being successful and is beneficial for legal use also. Gold is also a spiritual colour associated with sun energy. It draws in powerful cosmic influences. It helps with protection, peace and safety, and removes negativity and disputes between people. Gold also brings about a deeper understanding and awakens your mind. Brown is a very earthy colour, and as such helps connect you with nature and ground you. It is a helpful tool to assist in your grounding, stabilizing and bringing you back to earth. Brown is very neutral and discerning. It can help you find certainty and fix problems and situations that seem to not have a solution. It also wards off negative omens. Brown is associated with St. Anthony, the patron saint of lost things. You can light a brown candle to help you find something that you have lost or misplaced. Try asking /praying to St Anthony as you do so. ​​I do not personally use black candles. This is largely because it is a dark colour associated with negativity and the dark arts, though it does have other meanings too. It is used in ritual to banish negativity and evil, as well as other Occult practices and purposes. Black is a strong, symbolic colour that can be used for protection and the dispelling of negative energy, as well as opening up very deep levels of meditation and the unconscious. My recommendation is that it be used very mindfully and sparingly. Try using white instead, which is extremely pure, high vibrational but protective and cleansing also. White will not draw in any negativity, but rather naturally dispel it.